So now I know most of the 98 people buried in the Aboriginal Cemetery died of tuberculosis, and I have a sense of what that awful disease is like and why it reared its head in indigenous communities in Canada. But if these people were from such remote northern locations that, as the cairn said, they were buried here because “transportation difficulties to areas of origin made it necessary” – how did they get here in the first place? 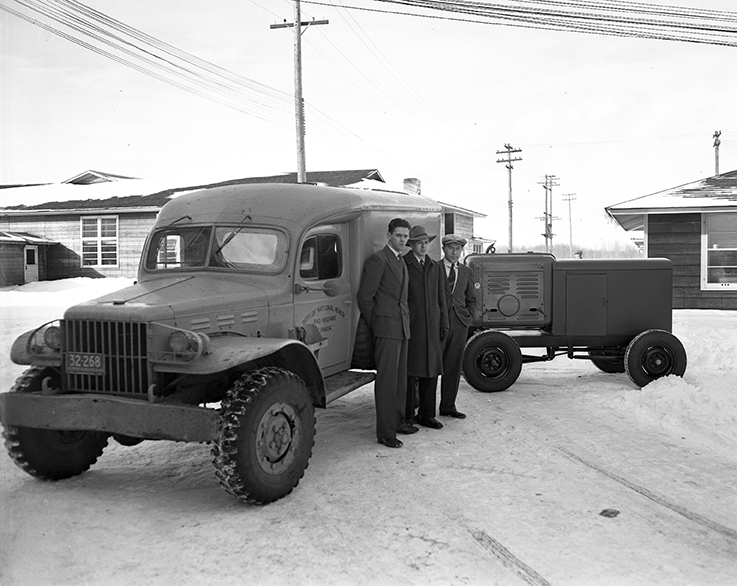 In 1947, an annual TB vaccination and X-ray program was launched, first along the Alaska Highway in the Yukon. In the Arctic, medical teams were sent as part of the Eastern Arctic Patrol using icebreakers like the Nascopie and C.D. Howe. To reach distant camps and settlements with no roads or harbours, the government relied on planes. 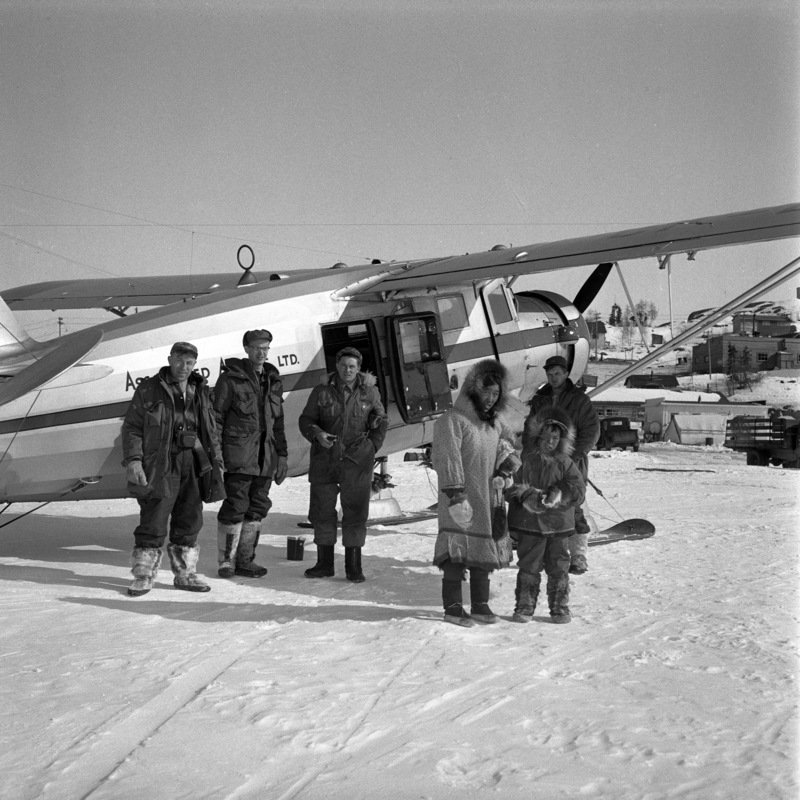 In 1949, it hired Associated Airways out of Yellowknife to conduct a tour and sent word to Hudson Bay Company post manager Ernie Lyall ahead of time asking him to try and gather people at Spence Bay, NWT at the appointed time. In the case of Awa and her children, the pilot (who may have been well-intentioned) basically abducted them, and it was not until after the flight that a Catholic priest on the ground explained what was going on. Once northern indigenous people were X-rayed and found to have tuberculosis, they were quickly evacuated to southern sanatoria, like the Camsell. Sometimes they couldn’t tell family members where they were going. Sometimes they didn’t know themselves. Once they arrived, the language barriers and cultural disconnects often continued. And, according to the only known treatments in the late 1940s and 1950s, they were put on ‘rest cures’ that could last years. In the 1950s, reports estimated that one sixth of Inuit were in southern sanatoria. While the movie trailer below for Ce qu’il faut pour vivre/The Necessities of Life shows a non-segregated TB sanatorium in Quebec, the experiences are similar in some regards. Just as for Tivii, the bright spot for patients at the Camsell were the friendships they made and the occupational art therapy programs. There are certainly many shadows, as well. Still, in terms of those 98 patients who died and were buried in St. Albert, if the government could manage to transport them to Camsell for treatment by truck, rail, boat, or plane, how come they couldn’t manage to return their bodies to loved ones – or at least let them know they had died? Unfortunately, I think the answers are pretty clear.